If you didn’t see this yesterday, then you probably don’t look at social media very often – because this was literally everywhere. It was also on the telecast, and this mornings Newsday too, so you likely did hear about it at some point. I am talking about Jack and his exceptional story. When I saw this yesterday, I couldn’t help but reach out to Jack’s Mom, Lauren to see if there was anything more I could help them with. We got to talking and I learned all about Jack’s history, his hockey life – defying all the odds. It was AMAZING. She even told me about her brother, Michael an FDNY Firefighter who perished in the 9-11 attacks. More on this in a minute. I reached out to my buddy Sean (@BCKT106), whom you know as the amazing artist who draws the images of Islanders players by hand, to see if he’d be willing to work something out for Jack. He was on board. We set out between the second and third periods to meet up with Lauren and Jack. We talked about everything, got to hang out with Jack and as Lauren told Sean about her brother – things got “interesting”, which is where the fate part of the story comes in. Earlier in the day, Lauren told me that every time their family has been blessed with kindness, a Michael is usually involved. I am a strong believer in fate and that everything happens for a reason. Fast forward to introducing Sean – we get on the subject of Michael and Sean knew him! Not only did he know him, Sean drew a portrait of him in 2002 that hangs at the Hempstead firehouse. Sean and I were invited down after the game to hang out with our new friend as he waited to check off the third box on his list. And check it off he did. As you can see by all the smiles in these photos, Jack did everything he wanted to and more. He got a stick from Robin Lehner, he also got one from Thomas Greiss. Johnny Boychuk came out to say hello, so did Josh Bailey, and Anthony Beauvillier. It’s a day that Jack and his family won’t ever forget. I know I won’t forget it either. I had trouble sleeping last night because of the endorphins, but it was 100% worth it. More on Jack’s condition, his Mom Lauren says the disease he suffers from has no cure. He’s had numerous surgeries over the course of his short life, the first coming at 4 days old. His second at 4 months old and third at 2 and a half years old. She adds he may eventually need a transplant one day. But for now, they live life every day allowing Jack to live out his dreams. His list obviously checked off a few boxes last night. Not to be lost in all of this is the amazing story about Robin Lehner that should’t be missed. He’s been a huge surprise this season after his recovery from substance abuse and mental illness – something I will also be writing about in short time. Little things like this make you like him and root for him even more, especially playing as great as he has been. 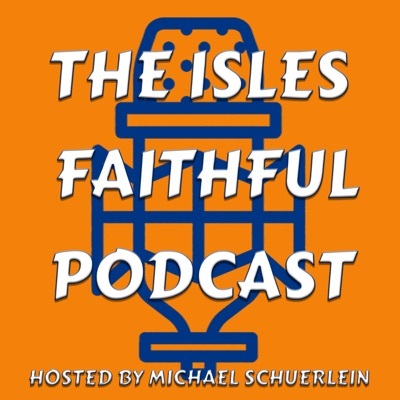 Jack and Lauren are going to be coming on the The Isles Faith Podcast to talk about all his experiences, stay tuned for that. If you don’t subscribe to the podcast, head over to the website and subscribe!